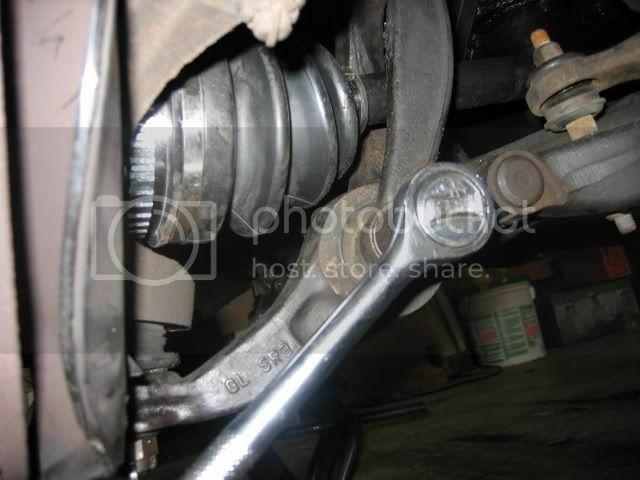 First I have to say that I took these pictures and did this write up a few days after I changed my axles. I was not able to get some important pictures but hopefully ill be able to explain in enough detail to guide you through this. I strongly suggest before doing this DIY that you do your research and you are confident that you can do it. For experienced people this can be an easy and quick project, for the less experienced this can take a while and be a headache. Also, if you have access to air tools and/or a lift, use them, it'll make things much easier. As with most other projects, I always recommend having a friend there to give you a helping hand and for safety reasons. A Haynes Manual is also a very good thing to have by your side if for whatever reason you get lost or get caught on something you don't know how to do. 1) Large Jack. Best if it can go at least 12" high. 1) Axle(s). Make sure that the new ones you purchase come with new axle nuts. 2) Transmission Fluid. I suggest buying the proper fluid from the dealership. Honda makes their own special fluid, which is probably better than anything else for our cars. - Start by loosening up the lug nuts. 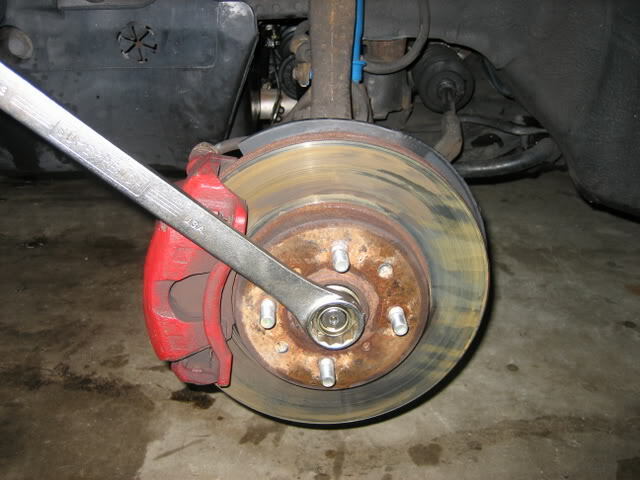 -Jack up the car and set the car safely on jack stands. Make sure that the car is on them in the proper fashion and that the car wont budge when messing working. 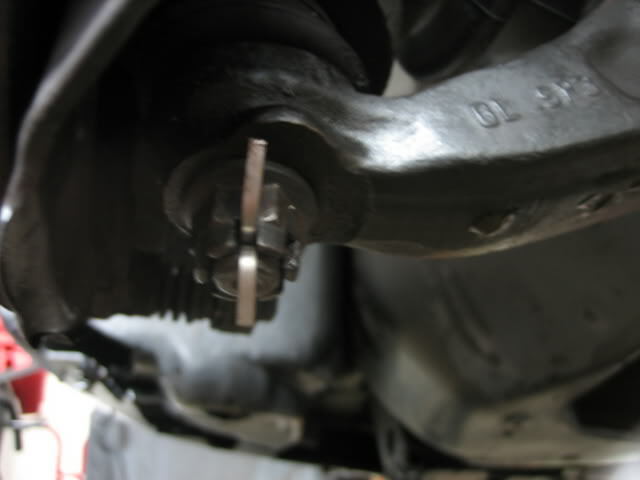 -Take a look at the axle nut. If there is a little dimple in the nut, you will need to use the punch to push out that little dimple. That dimple is used as a lock to ensure the nut does not come loose or off while driving. If you do not punch this little indentation out, it'll be impossible to take the nut off. 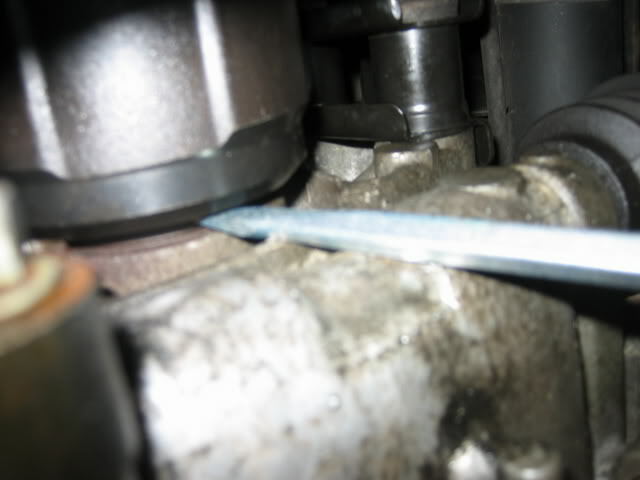 -After you punch that part of the axle nut out, take either the 32mm wrench or 32mm socket wrench and take off the axle nut. I strongly suggest using a solid 32mm wrench because it is stronger and won't break (I broke my craftsman breaker bar) *pictured below*. You will need somebody to hold the brake pedal down very hard while trying to take the nut off. I got one side off with the wrench fairly easily but the other side I had to use a blowtorch to get off. Be careful, take your time, and be smart. 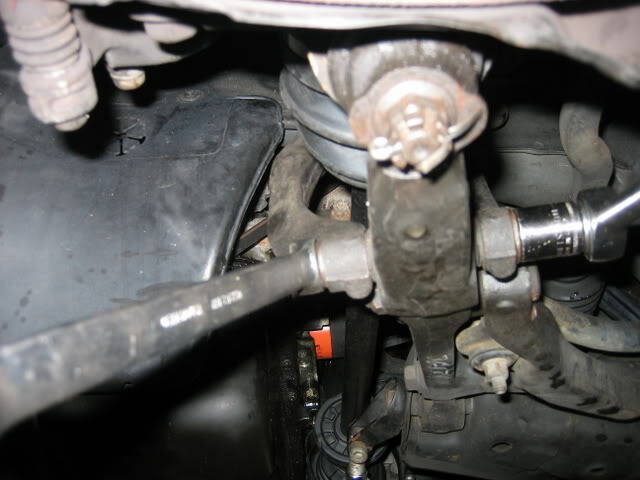 -Remove the LBJ nut and pull the hub directly up to loosen the nut from the Lower Control Arm. Once all the nuts and bolts are out and loose, hammer the part of the axle out of the hub assembly and pull the hub assembly back out of the way. -Before you do anything else, drain the transmission fluid. Follow this DIY that mill$civic wrote up: https://www.hondacivicforum.com/foru...ad.php?t=31608. 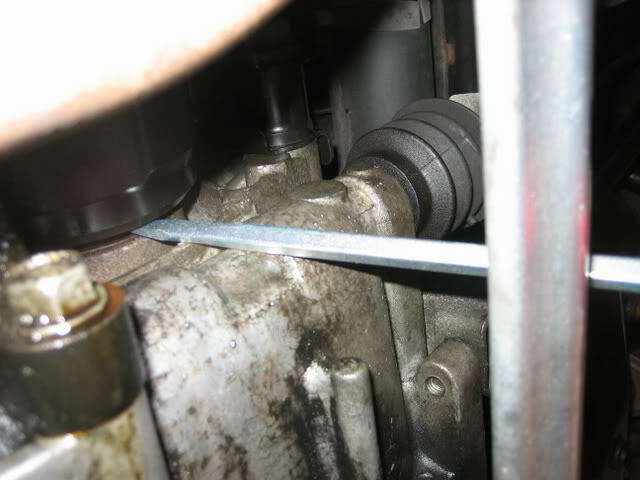 Do not refill the transmission until later, just drain for now. -The axle should just wiggle out now. Check the end of the axle that goes into the transmission for a spring clip. It should still be on the axle, if its not then it might be in your transmission, stick a magnet inside your transmission and you should easily find it. Make sure you get it, you don't want it in your transmission or it will cause some serious damage. -Make sure your new axles have a new spring clip. -Before you put the new axles on, grease the axle splines on both ends so that the axle seats completely into the transmission and hub easier. -When putting the new axles in, make sure the spring clip is locked in the transmission properly. You'll know that it is in the transmission when it's hard to pull the axle out with just your hand. -Installation is the same as disassembly, just reverse order. Make sure the axle nut is tight but don't over-tighten it. Don't forget to dimple the axle nut so it doesn't come off while driving. Don't forget to put a new cotter pin in the LBJ nut. 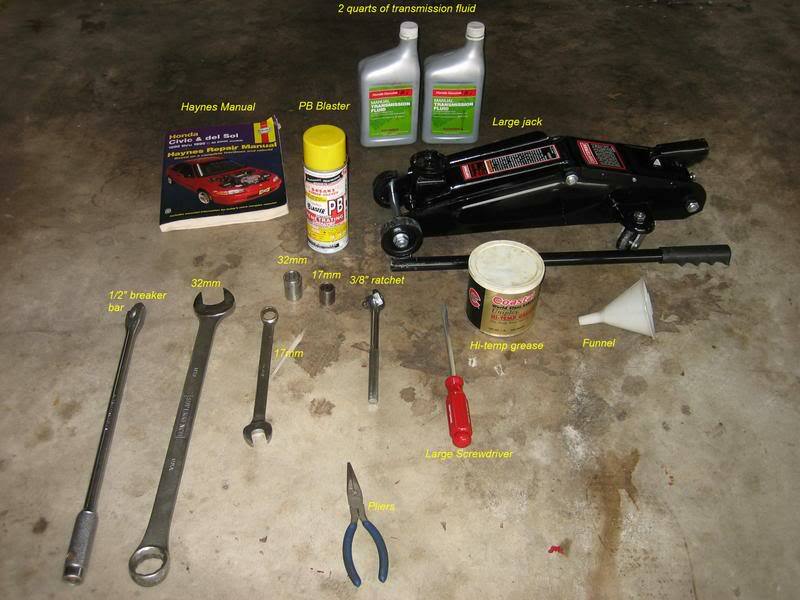 Don't forget to refill your transmission using the DIY mill$civic wrote up. Check all of your work. Make sure everything is nice and tight. Check for leaks. Drive carefully and make sure everything is running smoothly and properly. If you have any questions about anything with the DIY or installation processes, please feel free to PM me and i'll help you out as much as I can. Last edited by WellFedHobo; 01-30-2010 at 01:27 PM.